Silicon carbide grinding papers remain a mainstay in most metallographic laboratories for the planarization and subsequently finer grinding stages for the preparation of metallographic specimens. Key aspects are that the paper and abrasive coating are durable enough that the paper stays intact during the grinding stage, that the abrasive does not contain over size particles and that PSA backed papers are easily removed from the platen after use with no glue residue left behind. Silicon carbide grinding discs with their C weight water resistant backing from Advanced Abrasives fulfill these requirements. 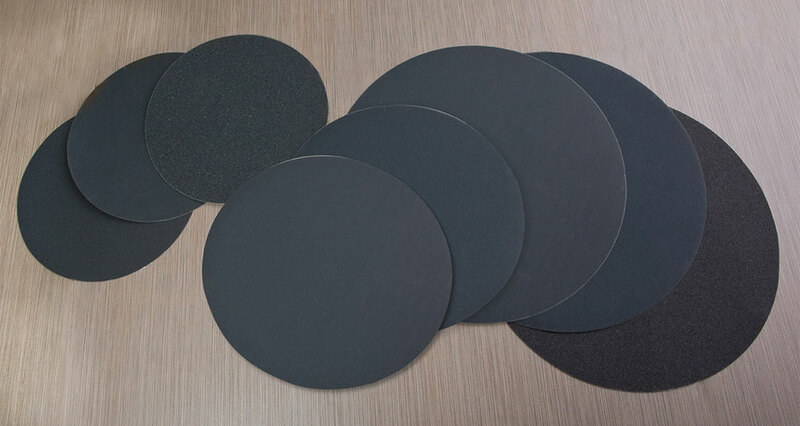 Available in US ANSI grit sizes from 60 to 1200 (European FEPA size P60 to P4000), in plain or PSA backed and in the common formats of 8" (200mm), 10" (250mm) and 12" (300mm) diameter discs as given in the table below.